GV was chosen from over 70 applicants to create a temporary installation for the exhibition “GeoMorphics: changing art for a changing landscape” at the NAVE Gallery. 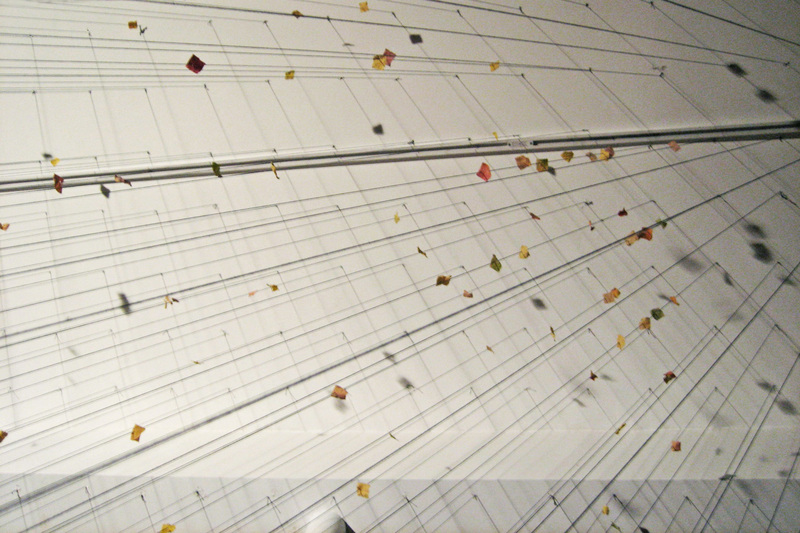 An ellipse of suspended, digitally located, pixel-like leaf fragments visually explodes as one moves around the gallery. The piece is a study in the temporalities of landscape: the leaves seem caught and frozen as they blow through the gallery. Their seasonal change from green to yellow to orange to brown is halted. Movement wracks the perspective of the precisely drawn anamorphic projection.